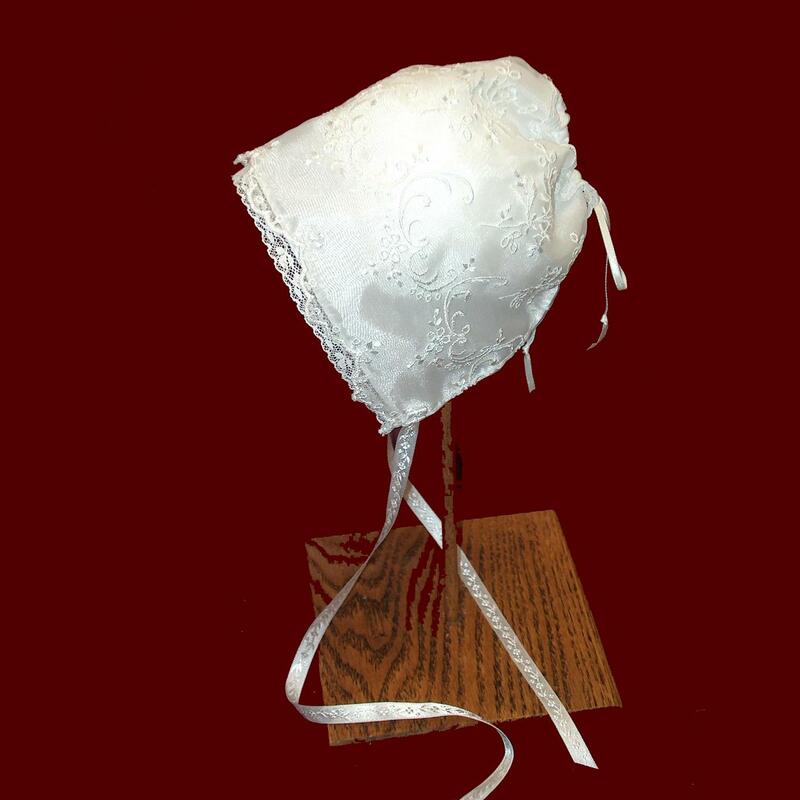 Sheer embroidered organza girls bonnet with an allover floral design lined in silky fabric and trimmed with lace. Satin ribbon ties and adjustable back ribbon casing. Optional cotton liner provides a barrier to the oils used during the christening ceremony. Embroidered organza fabrics may vary due to availability. Available in white or ivory in many sizes. Irish accents are available on all items on this website.